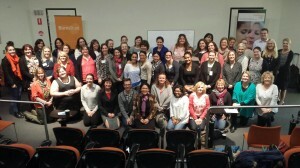 The goal of the ANZBA Nursing Committee is to promote burn nursing in Australia and New Zealand. Established in 2010, the committee provide an opportunity for burn nurses to network with colleagues, gather information, exchange ideas and practices, promote professional growth and facilitate continuing education in burn care. The ANZBA Nursing Committee organise the ANZBA ASM Nursing Forum andc the annual Burns Nursing Seminar. The Nursing Committee are also responsible for the monthly ANZBA On Line education program. The ANZBA Nursing Committee meet quarterly to progress the ANZBA Nursing strategic plan, which includes the development of burn nursing competencies, sustainability planning, addressing issues of workforce recruitment and retention, as well as a the establishment of an Burn nursing award. Natalia Adanichkin is the current Chair of the ANZBA Nursing Group. The term of office in the Chair position is a minimum of one year with a maximum term of 3 consecutive years. Membership to the ANZBA Nursing group is open to all nurses however ANZBA membership is encouraged. To be a member of the Nursing Committee, you must be an ANZBA member.